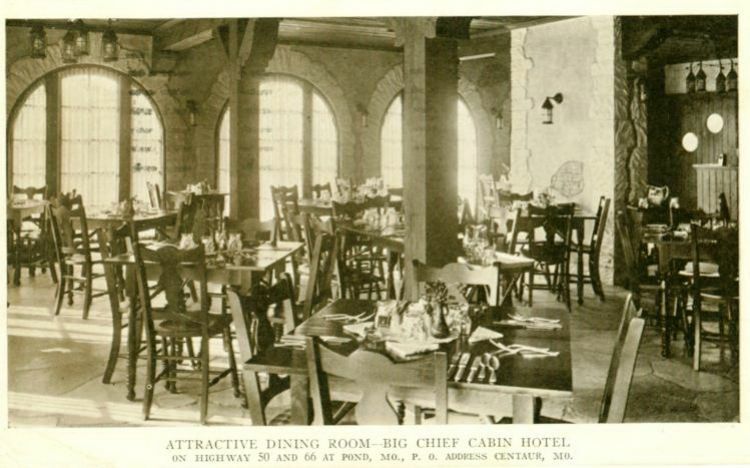 After Manchester Road lost its Route 66 designation, business dwindled at the Big Chief. Defense workers used it for housing in the 1940's. The cabins were torn down, and the main building housed a series of businesses before the Big Chief was restored and re-opened.